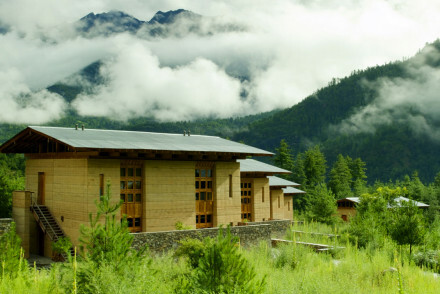 A stunning lodge, both traditional and indulgent, on the edge of a village below Drukyel Dzong. The rooms are solid, wood-clad and incredibly beautiful in their simplicity- with large windows, wood burning stoves and excellent bathrooms. The food, like the rooms, doesn't mess around. Wonderful.